The 67th annual prime time Emmy nominations will be announced on Thursday, July 16th. Jon Hamm is likely to again be among the nominees for his portrayal of Don Draper on Mad Men. This would be his last chance, though. And he’s never won. So where does Hamm fit among his acting peers who likewise have never won the big prize for what ended up being iconic roles? Here’s our Top 10 countdown, with the proviso that half of the snubbed are otherwise good enough to be members of the Academy of Television Arts & Science’s Hall of Fame. Members of the Academy also pick the annual Emmy winners. 10. 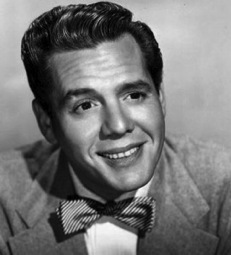 DESI ARNAZ -- He co-starred as Ricky Ricardo with real-life wife Lucille Ball in I Love Lucy, television’s first classic comedy series. She won just one acting Emmy in five tries while her second banana, Vivian Vance, ended up one for four. William Frawley, the other member of I Love Lucy’s featured foursome, received five nominations but came away empty-handed. As for Desi, not a single nomination during the show’s seven-season run. He is, however, in the TV Hall of Fame after being inducted in 1990. Ball was a member of 1984’s charter class. Vance and Frawley were both posthumously inducted in 2012. 9. 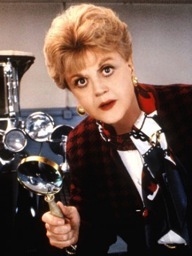 ANGELA LANSBURY -- She starred as mystery novelist turned amateur sleuth Jessica Fletcher for 12 seasons on CBS’ very popular Murder, She Wrote. Nominated in each of those seasons, she never won. Add nominations for six other performances and that’s 0 for 18 -- an all-time record for Emmy futility. But Lansbury also is a member of the TV Hall of Fame. She was inducted in 1996. 8. SHERMAN HEMSLEY -- His bombastic George Jefferson called the tunes and set the tone for CBS’ The Jeffersons. He received a lone nomination for the role in 1984 but didn’t leave a winner. Isabel Sanford, who played George’s long-suffering wife, Louise, received seven nominations for the role -- and won once. Unlike Sanford, though, Hemsley’s in the TV Hall of Fame after a 2012 induction. 7. DAVID JANSSEN -- His signature TV role, Dr. Richard Kimble in ABC’s The Fugitive, earned him three Emmy nominations but no wins. And it’s way too late now. Janssen died in 1980 at the age of 48. He’s yet to be anointed as a TV Hall of Famer. 6. JON HAMM -- As Mad Men’s Don Draper, he’s been nominated in all seven years of eligibility. Alas, Hamm also has lost as many times. An Emmy nod later this month would represent his last crack as one of TV’s all-time classic leading men. Be kind, Academy. Be kind. 5. JASON ALEXANDER -- He’s weathered seven nominations as Seinfeld second banana George Costanza. That’s more than any other member of the core cast, but Alexander never got a statue. He joins Jerry Seinfeld in that club, but the show’s namesake received fewer nominations and, in truth, wasn’t much of an actor. Alexander’s fellow supporting player, Michael Richards, has three acting Emmys for Seinfeld, while Julia Louis-Dreyfus won one. She’s the only one of the four in the TV Hall of Fame, though. That’s right -- ahead of Jerry. 4. 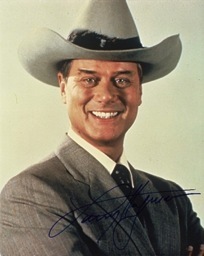 LARRY HAGMAN -- Dallas wasn’t an Emmy caliber series, but Hagman certainly was a classic character as J.R. Ewing. There simply would have been no show without him. But Hagman received just two acting nominations during the series’ initial long run on CBS and recent reprise on TNT. Nor is he in the TV Hall of Fame. Dallas’ only acting win, in 1980, went to Barbara Bel Geddes as J.R.’s mom, Miss Ellie. 3. ANDY GRIFFITH -- He was never even nominated as Sheriff Andy Taylor, mainstay of The Andy Griffith Show. But co-star Don Knotts, as bumbling deputy Barney Fife, won not one, not two, but five acting Emmys. At least Griffith deservedly is in the TV Hall of Fame, via the 1991 class of inductees. Knotts has yet to be enshrined, but deserves to be. 2. JACKIE GLEASON -- Loudmouth, short-tempered Ralph Kramden of The Honeymooners is one of TV’s all-time great physically comedic characters. But Gleason never won an Emmy for his pitch-perfect portrayal. As with The Andy Griffith Show, however, his principal second banana did. Art Carney hauled in five Emmys as loopy Ed Norton. And Audrey Meadows won a statue for her performance as Kramden’s put-upon wife, Alice. Both Gleason and Carney are in the TV Hall of Fame. Gleason got there first, back in 1986. Carney followed in 2004. 1. 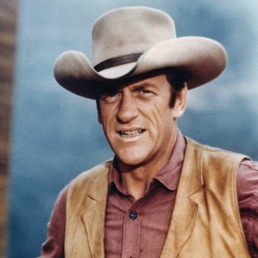 JAMES ARNESS -- Gunsmoke, the most popular and longest-running Western series in TV history, found Arness in the saddle and on the streets of Dodge City for 20 TV seasons as Marshal Matt Dillon. He received three acting nominations, but never won an Emmy. Supporting players Dennis Weaver, as deputy Chester Goode, and Milburn Stone, as Dr. Galen “Doc” Adams, each won one Emmy, though, while Amanda Blake (“Miss Kitty”) got a lone nomination. Gunsmoke, which ran from 1955 to 1975, ranked in prime-time’s Top 10 for 13 of its 20 seasons. But Arness, who died in 2011, never got a statue and is yet to be enshrined in the TV Hall of Fame. A shame on both counts.